Click the link to view yesterday’s post on having a Study Plan. Making it Happen: My corner of the house: Like anything else in life that we do more than once, bible study is something that works best as a part of a routine. If I had to roam around and collect all the elements for my study every day, find a comfortable place to sit and organize everything, I’d be a lot less likely to do it every day. Luckily, my wife and I have found a spot that works for both of us to do our daily study … and to have all of the materials we need close at hand. I’ve got all my books stacked (more or less) neatly there. I’ve got a comfortable chair with a floor lamp behind it. All I have to do is bring a cup of coffee and my iPhone (which, per yesterday’s post on Study Plans has my reading plan embedded in the Austin Stone iPhone app) and I am ready for a great morning of study. If you can spare the space, I highly recommend a dedicated place for study that can double as a place to store all of your study aids. Click the link to view yesterday’s post on the Blue Letter Bible. Making it Happen: A Study Plan: The Bible can be a pretty overwhelming thing. And that shouldn’t be terribly surprising, given that it is the inspired Word of the Creator of the universe! The Bible is also unique from any other book in that it comes with the spirit of its creator to guide the reader to learning and understanding that’s personally tailored to them. But that’s the subject for another post entirely. Because of this special nature of the Bible, you could probably just get away with reading it straight through, or reading it randomly. Whatever you do, something good will come of it. But to truly STUDY the bible, it helps to have a plan. And it doesn’t have to be a complicated one. I’ve already mentioned my 21-month Discipleship Curriculum study; that was a pretty complex one. I’ve also gone to the extreme simple end of the spectrum: One of my old study leaders, Chip Crush (can you tell that he had an impact on my life?) told me about a pastor whose study plan included a weekly reading of the Gospels. All four of them. So there was a time when I was just reading steadily through Matthew, Mark, Luke and John in rotation – and getting something new from them each time. My current study plan is somewhere in the middle. The plan is called REAP (which stands for Read, Examine, Apply, Pray). It’s really simple; I read four passages of scripture every day (from Psalms & Wisdom; History of God’s People; Chronicles and Prophets; and Gospels and Epistles). I can then build my study, reflection, application and prayer around the texts. The super-nice thing is that my church, the Austin Stone Community Church, has an iPhone App that includes not only the daily REAP schedule, but the passages themselves. That means that when I’m on then road (a not-infrequent occurrence) I can do my full bible study bringing nothing but my iPhone. Pretty sweet. Click the link to view yesterday’s post on Across the Spectrum. In-depth commentary resources on every passage from literally dozens of sources; audio, video and text. Word studies taking you back to original definitions from Greek and Hebrew; with links to all the other places that word form has been used. Incredibly useful in interpreting the author’s original context and meaning. Because the UI is complex and relatively challenging, I don’t use the BLB for simple lookups (Bible Gateway is much better for that), but when you’re going deep, the BLB is unparallelled. If I was every researching a sermon, lesson plan or a book, it would absolutely be my starting point. Click the link to view Tuesday’s post on Bible Doctrine. Boyd and eddy take the exploration of doctrine to a new level … And do so in a way that I really appreciated, because they are not taking or advocating one position over another. As mentioned in yesterday’s post, there are many issues that are really open for debate, and worthy of exploration. 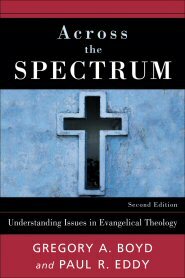 In “Across the Spectrum,” Boyd and Eddy present at least two (but often three or four) different sides of the thorny issue. The nice part is that of all the viewpoints they represent, there really aren’t any wrong answers … In other words, they are legitimately up for debate. And the authors remain so objective that they really don’t lead you in one direction over another. The not-so-good part is that, while I am much more effective at articulating all sides of an issue, I almost always found myself in a complete quandary about which position *I* believe. Which is a good reminder not to get hung up on doctrine, and remember Jesus’ “greatest commandments” – to love God with all of our heart, soul and strength and to love others (ALL others!) as ourselves. Click the link to view Monday’s post on Baker’s Commentary. 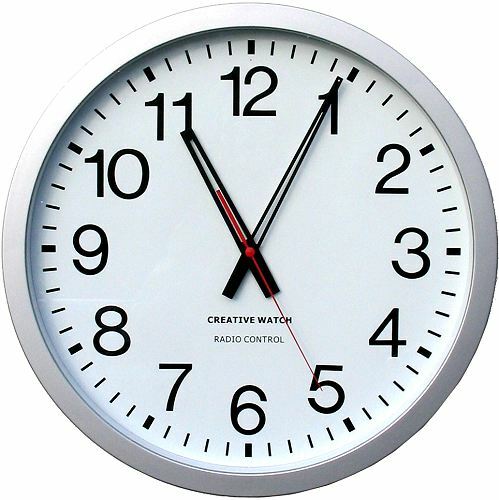 – Was the world created in 6 24-hour days? – What is the role of Christians in relationship to government and governance? 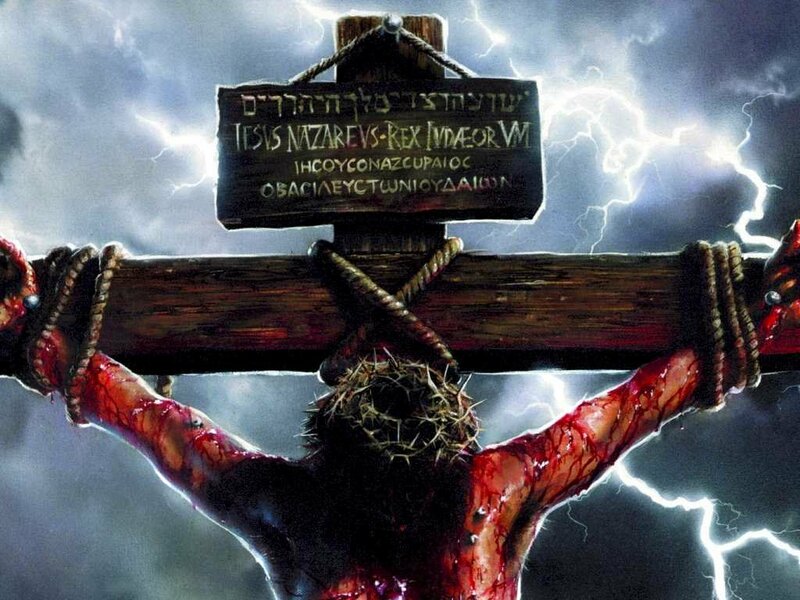 – What’s going to happen when Christ comes again? – Why is important that Christ was born of a virgin? – What is the impact of Mosaic law on today’s Christian/church? 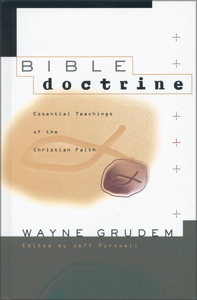 Bible Doctrine was recommended by Matt Carter, the pastor at my church (The Austin Stone Community Church in Austin, TX) as a good source for exploring these issues personally. And while some people just sit down and read this monster, I don’t actually recommend it unless you’re looking for something specific. But I’ve found a great way to incorporate it into my daily study. Bible Doctrine has a handy index in the back that lists all of the topics covered in the book by chapter/verse in the bible. As I’m doing my daily reading, I can read a passage, then refer to Bible Doctrine to see if that passage is specifically refernced in relation to important Christian doctrine. That way, my context is always scriptural … and I am learning doctrine as I go, rather than trying to do it all at once, with no particular context. This approach has been really effective for me. Click the link to view Friday’s post on BibleGateway.com. 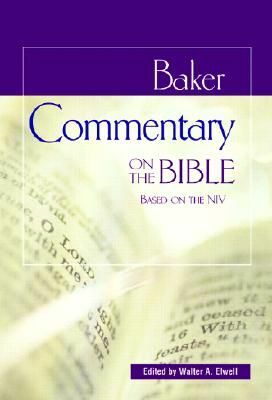 Going Deeper: Baker’s Commentary on the Bible. Anyone who’s ever read the bible as a lay person knows that there are bits and pieces that are pretty tough to understand – especially without historical, social, political and geographic context. Baker’s commentary has become especially useful to me in sorting through this. It gives a detailed analysis and context for every book of the bible, but also works through capter-by-chapter and verse-by-verse giving commentary on each passage. This is invaluable for stickier, more controversial passages. Plus, it looks impressive on your bookshelf, and makes a phenomenal paperweight (It’s about 4 1/2 inches thick). I don’t think that there is any more beautiful, heartbreaking or relevant passage in scripture to describe Jesus. It brings me to my knees in sorrow – and in gratitude. But the “reflection” in the title of this post isn’t about my own reflection … it’s the reflection in Isaiah’s “mirror” as he wrote this – some 700 years before Christ was born. How amazing and remarkable that Jesus’ coming was such an event – such a globally seismic change – that its ripples and echoes were felt not only after he came … but before he came as well. This post is the fourth of 15. In each post, I’ll be examining my personal “Top 15″ things leading to successful bible study. I want to be clear that this may not be your top 15. But I’ve observed that over the last six months, all of these things play an important role in my spiritual journey. Maybe a few of them will be valuable for you, too. Click the link to view Tuesday’s post on the YouVersion Mobile Bible. Source Materials – Bible Gateway.com When I’m writing (I keep my journal online in the form of this blog), it’s really helpful to have an online bible that is incredibly easy to search by text, topic or keyword. 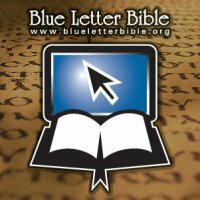 I most frequently use BibleGateway.com to easily find and link the scripture I’m referring to. This is particularly handy when searching for a passage by keywords (no, I am nowhere near memorizing the bible yet!). For bloggers, there is also a handy embedding feature that allows you to search for the passage you want, and to embed it into your blog with one click. Bible Gateway is also really nice for flipping between translations, browsing passages by themes (e.g., mourning or eschatology) and listening to audio versions of the text. This post is the third of 15. 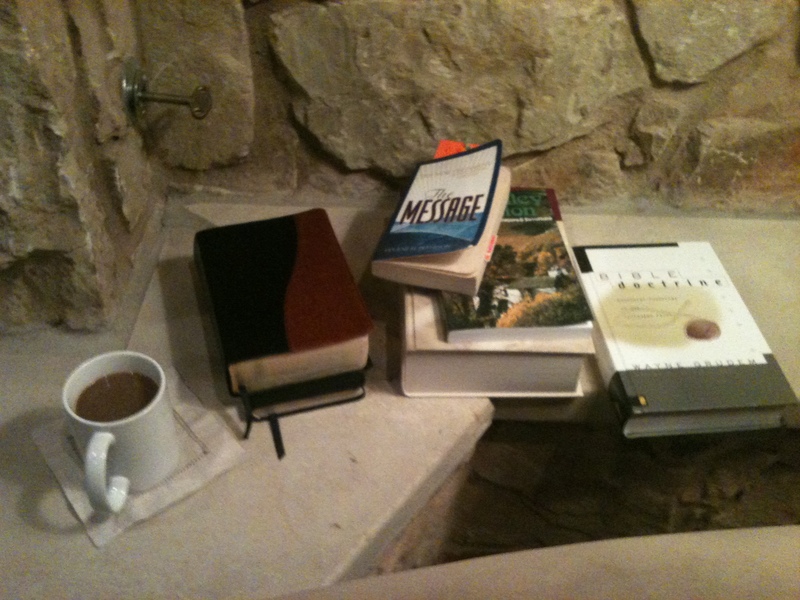 In each post, I’ll be examining my personal “Top 15″ things leading to successful bible study. I want to be clear that this may not be your top 15. But I’ve observed that over the last six months, all of these things play an important role in my spiritual journey. Maybe a few of them will be valuable for you, too. Click the link to view Tuesday’s post on Study Bibles. Source Materials – the YouVersion Mobile Bible. I’ve used the YouVersion bible for iPhone for a couple of years now, and it just keeps getting better and better. I always found it a little challenging to carry a bible to church when we had little kids (and were pushing strollers, carrying bags, holding hands etc). Now, I don’t have to … because I’ve got dozens of translations in my iPhone. As you can see from the previous posts, I haven’t given up my paper-and-ink bibles, but if you have a smartphone, this is a no-brainer for you to add your collection. And now that I have gotten an iPad, I’m using it more and more.